All any parent wants is for their child to have the best of everything in life. Of course, good health is paramount. But what about a positive experience at the dentist? We’re not here to judge but to explain. Those negative feelings towards the dentist could actually stem from their childhood: One bad trip can make you tooth-doctor-averse for the rest of your life. We had an opportunity to consult Dr. Ella Choi at Playtime Pediatric Dentistry (the leading pediatric dental clinic in Vancouver and South Surrey), who’s also currently the president of BC Society of Pediatric Dentistry. Dr. Choi’s team is changing the way parents and children feel about dentistry. They believe a lifelong relationship with the dentist should begin with a pleasant, soothing experience that fosters a child’s trust and positive feelings about dentist visits, as well as oral care. Of course, people still have misconceptions about taking their kids to the dentist. Here are the biggest ones. This is false: The Canadian Dental Association recommends that the first dental check-up happens six months after the teeth erupt, or by age 1. According to Playtime Pediatric Dentistry, dental surgeries are the most common surgeries at BC Children’s Hospital. “It’s a good information session for parents where they learn about brushing techniques and good oral hygiene practices. 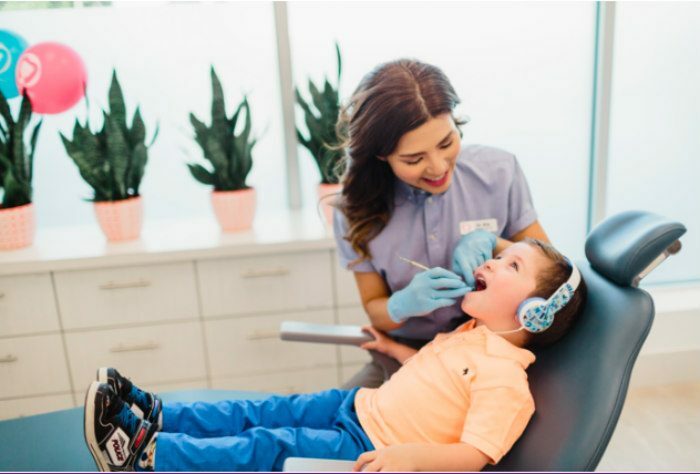 To make sure your child has good dental habits, it’s important to get a dental checkup early so the dental professionals can help you and your child get used to the dental experience at an early age,” says Dr. Ella. Choi. This one is true. However, not all dental clinics are created equal. Some dentists treat children and specialize in pediatric dental care, with smaller equipment to accommodate them. Meanwhile, other clinics are more suited to adults. Baby teeth are important for functions such as talking, chewing and eating, as well as aesthetics. They work as space holders for adult teeth and if the baby teeth are infected, the infection will damage the adult teeth. If you assume that you don’t need to take them as seriously because they’ll inevitably fall out, that is false. Dental cavities are the most common chronic disease in childhood. Dr. Choi says that the experience can be pleasant and can still create a positive experience with the right pediatric dentist. There are many different ways to make the visit comfortable and successful. And Playtime Pediatric Dentistry has different options depending on the child’s age, cooperation, and the amount of work that needs to be done. “Some kids may not need any sedation and just need behaviour management such as positive reinforcement, distraction techniques, or tell-show-do. For more extensive work or for the anxious child, the child can have laughing gas, conscious oral sedation, or general anesthesia (“being put to sleep”),” Dr. Choi adds. Not all dentists are trained to offer this variety of options, making this final long-held belief false as well. For more information and to book an appointment for your child, visit Playtime Pediatric Dentistry now.